Go back in time with the Regent Collection. 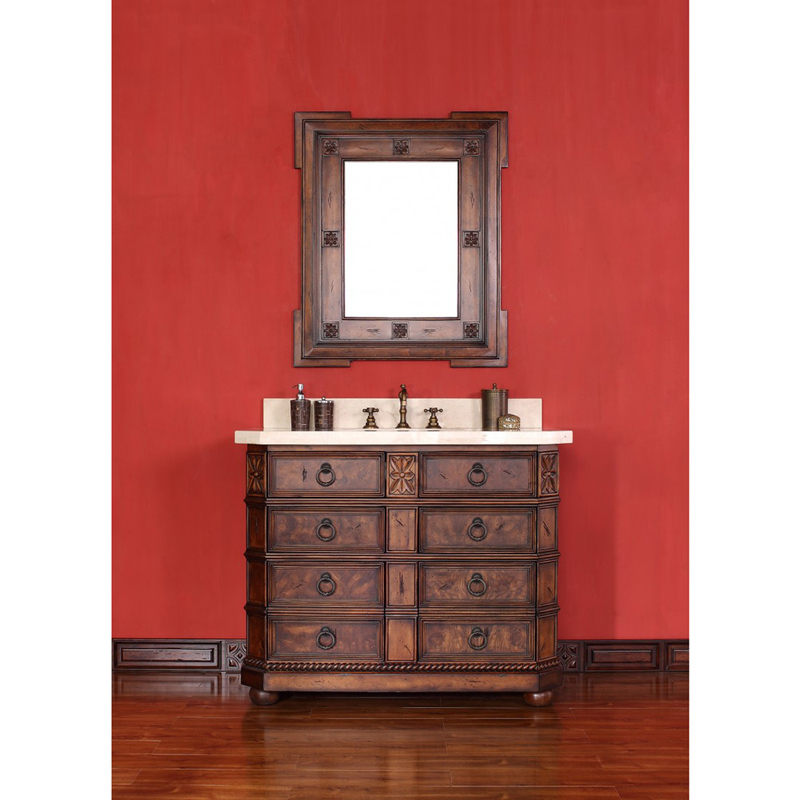 This collection features custom old world charm and pieces of history throughout each detail. With an English burl finish and canted corners, this series is filled with unique charm that adds depth to your bathroom space. When you are looking to create a warm and inviting feel, the Regent is the perfect selection. This series is based on the English Regency style with Dutch influences throughout. Olive–ash burl veneers with detailed olive and birch solids give this vanity a unique character. 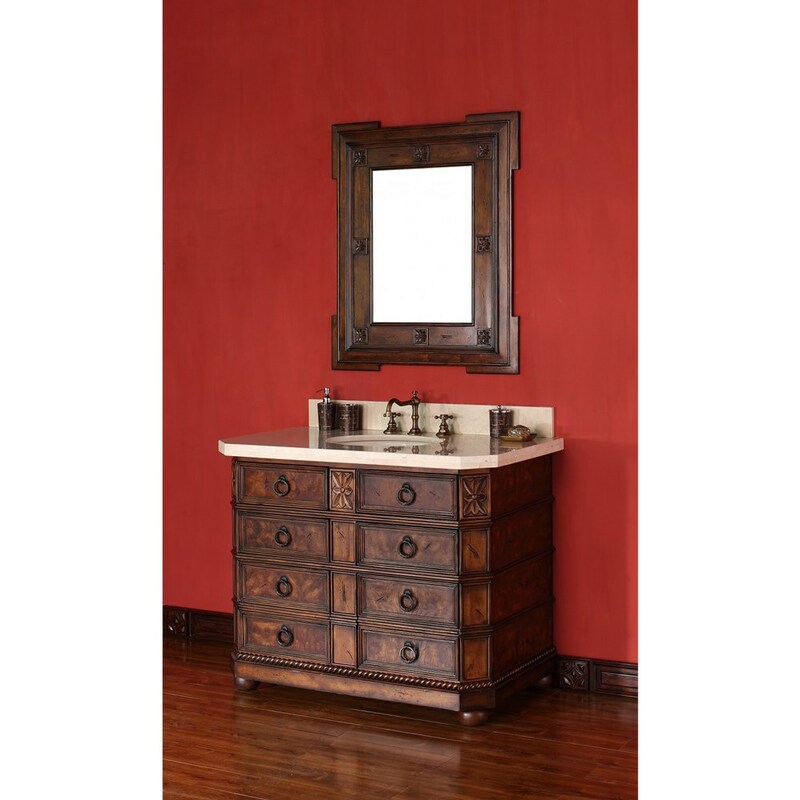 Give your bathroom space an update with the Regent Collection. 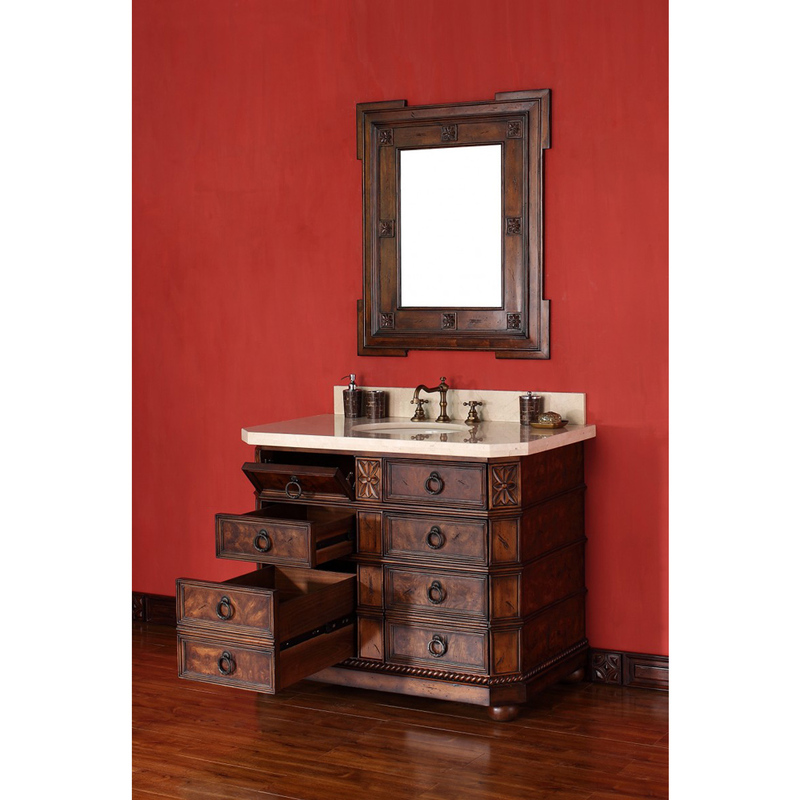 This vanity and mirror combination is designed with classical swirls in the veneer that present a timeless style. Take a piece of history and add it to your bathroom collection. With dark antique brass hardware, the rich dark hues add depth to your space to create the perfect atmosphere for soaking. Relax in your upgraded master bathroom. Each piece is flawless with detailed precision. Wood backsplash with patented "Water Repellant Sealer"